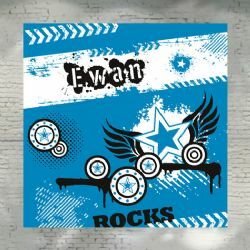 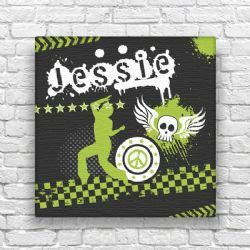 For trendy teens and cool kids this exclusive range of dynamic canvas illustrations will add a touch of "wow" to any room. 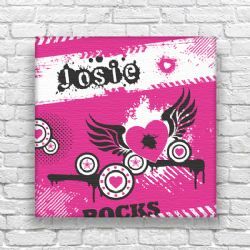 Four exciting up-to-the-minute designs are available in a range of colours and each can be personalised. 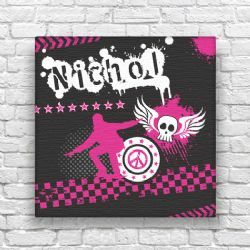 These high quality stretched canvases are available in two sizes, 12" x 12" (30cm x 30cm) and 16" x 16" (40cm x 40cm).